For small entrepreneurs, the most valuable commodity we have is time. I, like you and everyone else, only have 24 hours a day and one of my primary goals is to make the most out of that time. I want to be able to spend quality time with my family, keep up with household tasks, improve my quality of living, and grow my businesses. It’s a juggling task, but it isn’t impossible, especially when I employ key time management skills and systems. 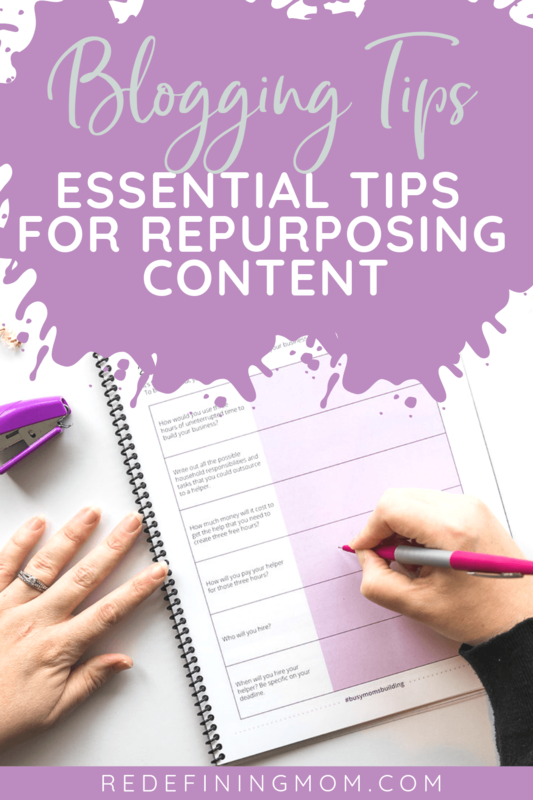 When it comes to growing my business, one of the most important things I’ve learned and that I want to share with fellow entrepreneurs is the value of repurposing content. Content is the meat and potatoes of any marketing strategy. This is what you use to display your expertise in your business niche, how you express your voice and your brand’s voice, and where you advertise your products and services and attract new and old visitors to your various social media platforms. Best of all, one piece of content can be recycled, reused, and repurposed so that the energy you put into it isn’t just a one-off for one specific marketing angle. Let me step back a second and explain what I mean by ‘repurposing content‘. 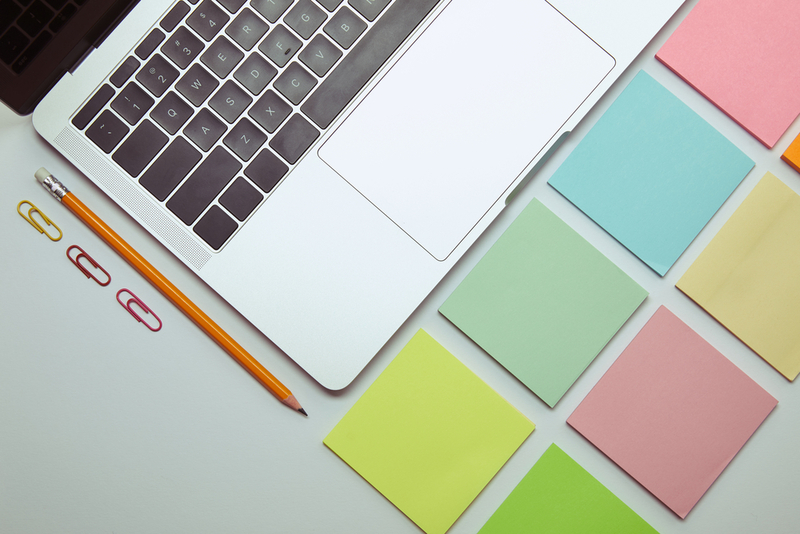 As many of you might surmise, repurposing content is taking one type of content that you created for one specific purpose and recycling it to use somewhere else. Such repurposing is a trick that I love not just for work, but also for my home in general. For example, those iconic plastic dinosaur toys kids might play with are easily transformable into cool succulent planters. To repurpose such toys, it takes just a bit of elbow grease and some plant money to create cool and beautiful items that add to my home. In a similar vein, repurposing your business content takes just a touch of ingenuity and time and what you get are some pretty nice benefits. 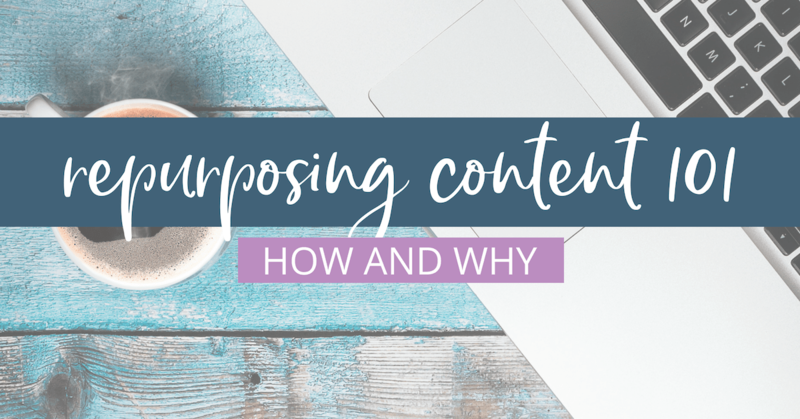 Before we dig into how to repurpose content, let’s go over some of the important reasons for why. If you have a stellar blog post that is receiving a lot of likes and achieving a social media goal, then chances are it can achieve other goals. For instance, printing it out and handing it out as a mini-zine at events could achieve the goal of bringing in new business. On the flip side, maybe you have a post that was largely ignored by your audience. Or maybe there was an ebook that failed to gain any steam. In any case, you shouldn’t let that work be lost. Repurposing it and using it a different format or context can open up new possibilities. No matter what your niche is, you do not want to rely on only one marketing source. Diversification is the fertilizer of business growth and repurposing content is an excellent shortcut or tool to use that makes diversification quick, easy, and (most importantly) effective. This one goes hand in hand with diversification, but it’s important to double down on it because having a strong online presence is near essential in today’s tech-obsessed world to raising brand awareness. After all, what’s the first thing you do when you’re looking for a restaurant or product? You look online! When you diversify your marketing strategy by repurposing content and putting it out on a variety of channels, you boost your online presence and make it easier for new customers to find you. As you might have guessed by now, this benefit is my favorite! While repurposing content does take some time and effort as you have to take one form of content and recraft it to fit another channel and audience segment, it takes much, much less time than creating new content from scratch. This is an outstanding way to do more with less and get the same benefits as you would if you had created two completely different and totally original pieces of content. Like my momma likes to say, work smarter not harder! One excellent, the primary type of content brands can create to attract new clients is planning and recording a Facebook Live show featuring (in this example) a star stylists doing a special haircut. During the haircut, the stylist and another team member ought to either offer a step-by-step instruction on the cut and style itself, or a similar entertaining and informative conversation. Following the recording, that video can be uploaded to YouTube and shared on that channel as well as Facebook’s general video platform. Once uploaded, the content itself can be repurposed a multitude of ways, the first being audio. If you utilized good sound recording equipment during the taping, cut away the audio from the video and use that audio as the first episode in a podcast series. The audio can also be transcribed, cleaned up, and thrown onto your website as either a nice blog write-up or, depending on the material, an infographic (or maybe even both!). An engaging blog post can then be republished on sites like Medium or emailed out to those clients who signed up for your email list. You can even print it out and spread it by traditional mail or as free flyers at your shop or trade show. If you do make an infographic — in the example, an infographic might feature a cartoon-version of the client’s hair and the different steps the stylist took to create the end cut — that infographic can be shared across picture-oriented social media channels like Instagram and Pinterest. There are experts in every niche and interviewing those experts for your audience provides for some great blog content. But don’t just make a blog! Gather a bunch of interviews together and publish an expert advice eBook. Just about every picture you take of your business or for your blog can be repurposed into some type of Pinterest content. Upload pins of your logo, your business, your clients. 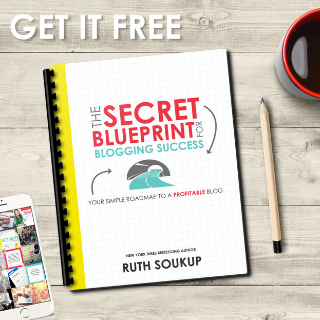 Later, you might even find that the repurposed content you put on here can be repurposed elsewhere in promotional flyers, blog posts, eBooks, and more. Quora is a really cool website that offers emerging entrepreneurs an outstanding opportunity to start proving their experience in their respective field. On this website, people ask questions for others to answer, the most helpful receives upvotes. I highly recommend business owners and brand advocates to go to this website, find your area of expertise, and answer some questions in detail (don’t forget to include a link to your website). Later, use this question and answer to create a complete blog post (you might even go back and link to that post on the Quora question). No matter what your blog post is about or how it is styled, you absolutely can and should repurpose. 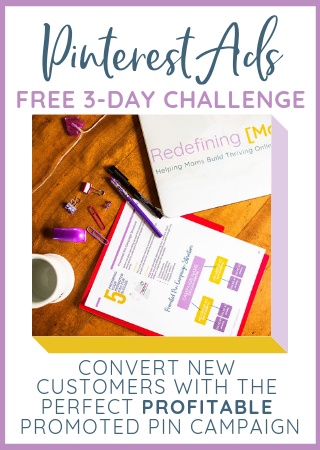 The easiest method of this is to clean it up and send it out in weekly newsletters, but you can also get creative and use the material for a quick podcast or webinar. Now that you know the basics, it’s time for you to get going through your old content, cleaning it up, and sending it out to be reused again. I challenge you to do at least one Quora Q&A and to repurpose it into both a Facebook post and a newsletter this week. 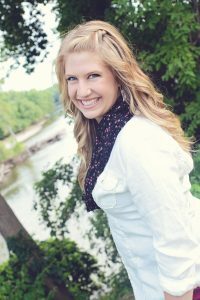 Hey, I am Laura Rike! I’m a quirky, spunky, social butterfly that values open, honest relationships in all areas of my life – including business! I spent 5 years expanding my virtual assistance business, and then went rogue! The last 4 years, I up-leveled and narrowed down my business to focus only on what I love and excel at. With my marketing automation magic and social media ninja skills, I help busy entrepreneurs and bloggers build their brand and increase sales in a number of ways. I provide practical support & REAL strategy through simple, sustainable systems for entrepreneurs ready to rock it online – without tantrums over tech or trading sleep for success! I am a mother of two boys how are the center of everything I do, and they are the reason I am so passionate about helping others build their legacy too!